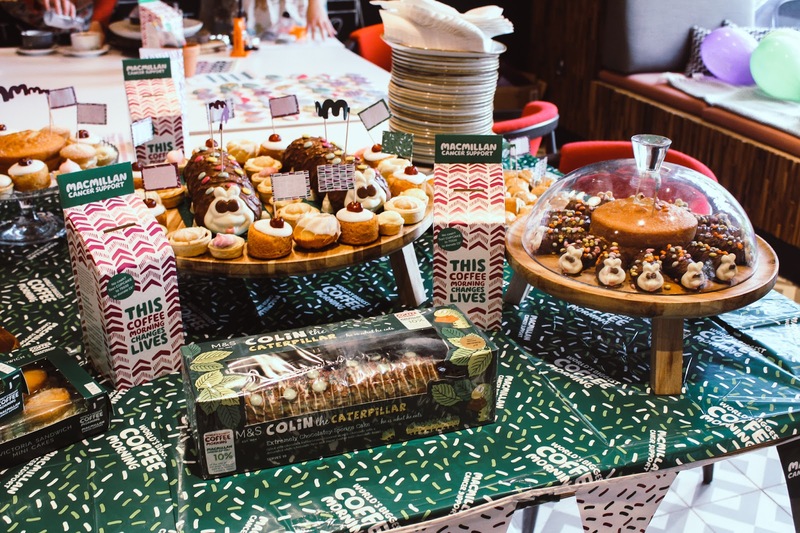 The World's Biggest Coffee Morning is Macmillan's biggest fundraising event and so Southampton Bloggers held our very own coffee morning last weekend to raise as much as we could for the charity. As many as one in two of us will face cancer and so Macmillan Cancer Support helps make that time that little bit easier so every penny counts. 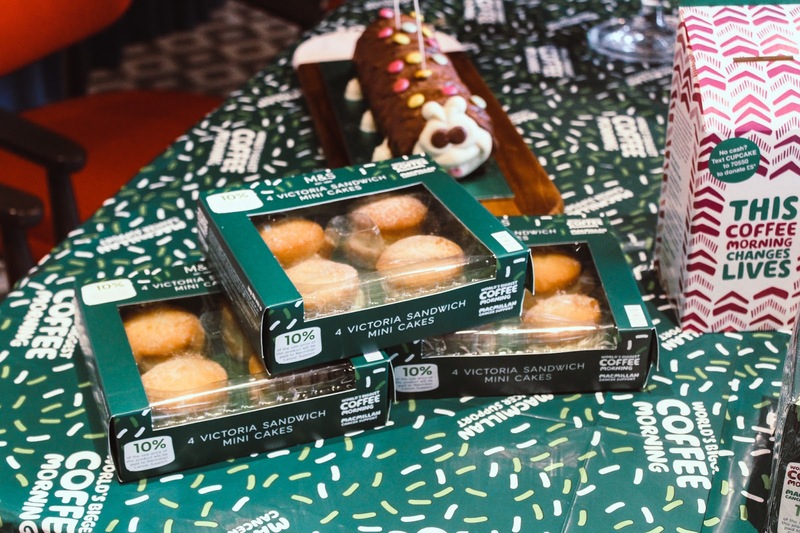 For the ninth year running, Macmillan have partnered with Marks & Spencer who have a handful of special products on sale with 10% of the price going towards Macmillan. 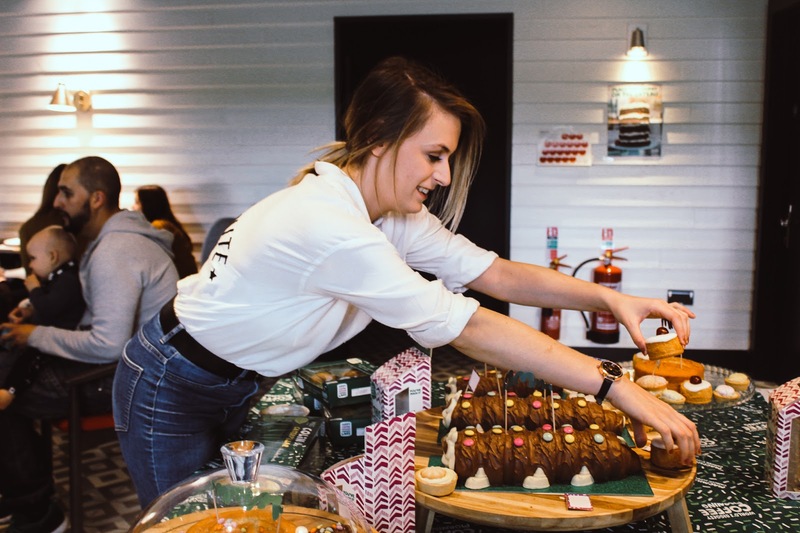 From classic Victoria sponge cakes to a limited edition Colin the Caterpillar, you'll be hard pressed not to find something to enjoy at your very own cake morning. 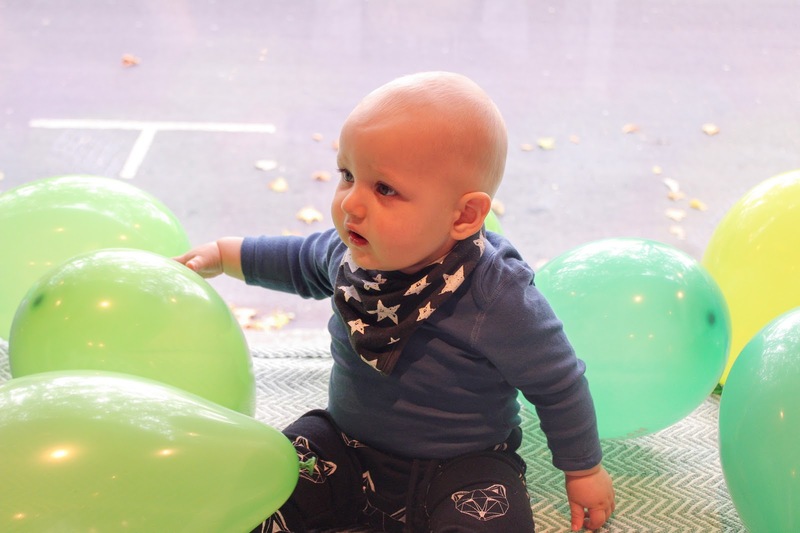 We held our coffee morning at Room2 Hometels and hired a space in the Living Room which meant we had enough room for lots of bloggers, lots of cake and the wonderful team at May Inspire who came and made cake and coffee inspired badges on the day to help us raise even more money for Macmillan. 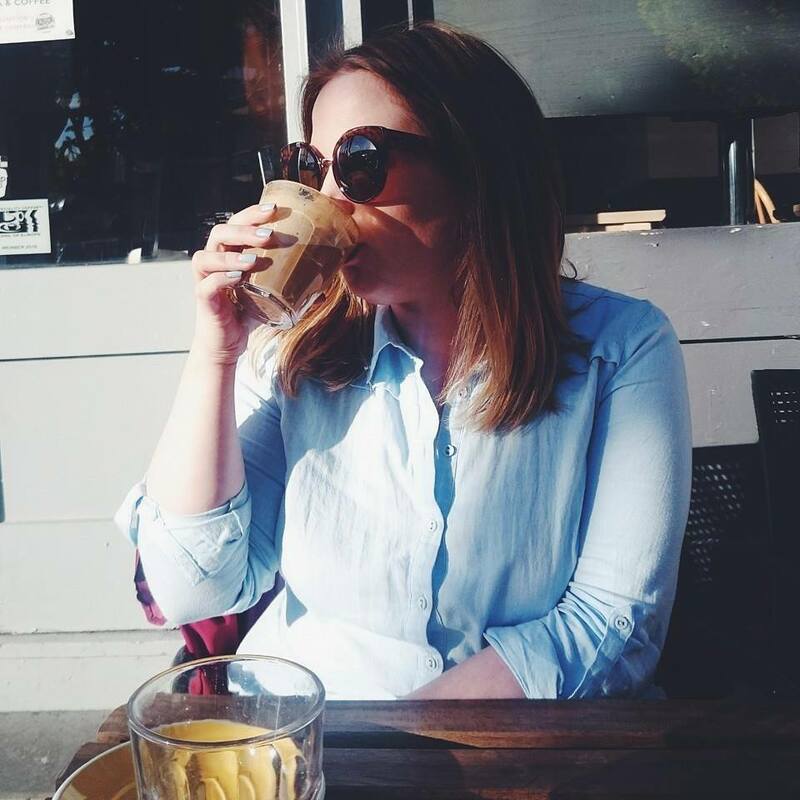 We spent two hours sipping coffee and enjoying a mini Colin the Caterpillar or two while catching up, talking blog and discussing future events. It was a really lovely and of course, worthwhile way to spend a Sunday and who can resist a treat from Marks & Spencer? Marks and Spencer very kindly provided all the cakes for the event as well as some sausage rolls (it's not a party without sausage rolls) so it meant we had everything ready to go in the morning while we hung bunting and blew up lots of purple and green balloons. We raised £90.20 in total over two hours which was amazing and we're so grateful for everyone who came and supported the event. 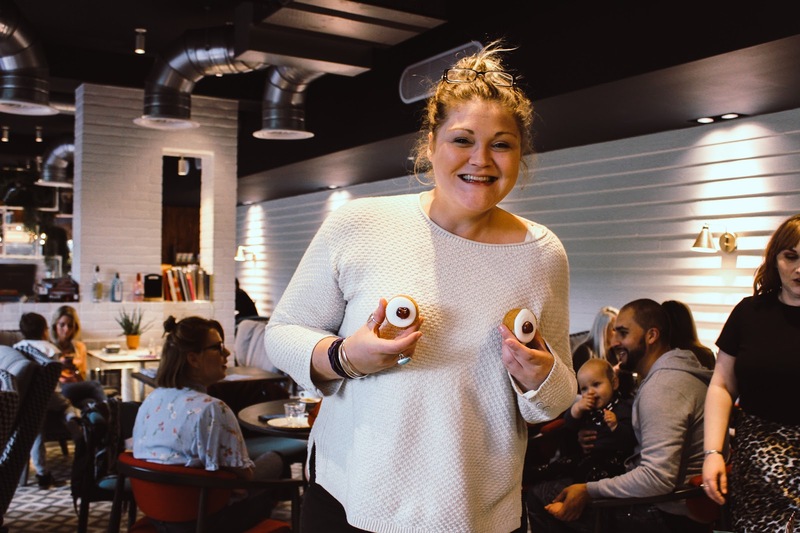 Did you hold your own coffee morning? What did you get up to? This is a paid partnership with M&S - please see disclaimer. AAAAALLLL the cake! IT looks incredible! I love a coffee & Cake too! Wow, that was a lot raised in a short amount of time! Such a lovely thing to do! Such a great cause and fun and tasty way to raise some money. This is the first year I’ve not done Macmillan as I started a new job! I love the charity they are amazing and so helpful to people in need! This looks amazing and for such a good cause! I love this idea - who doesn’t love cake and when it’s for a fab cause it’s guilt free!